Every Sunday come to enjoy our french vibe at Bar Fluxus. 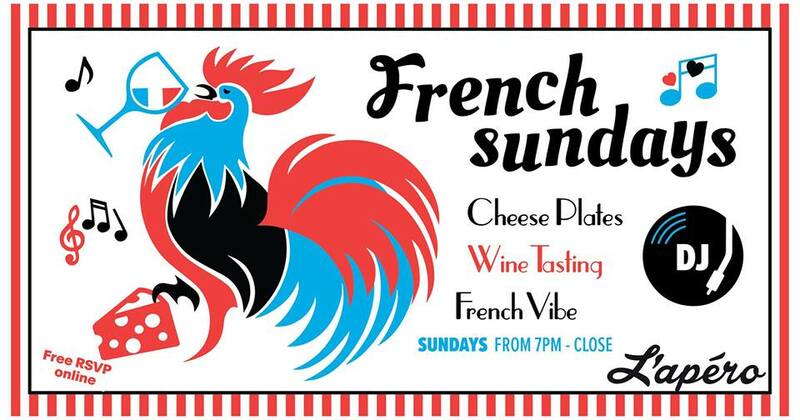 Wine tasting, Cheese plates, lounge and dance music provided by our favorite French DJs. French expatriates, students, tourists, the community finally have a venue to mingle. Free RSVP online or donation at the door.